Keep in mind that everyone will adopt their own style of performance monitoring but regardless, staff should be held accountable for maintaining or exceeding the standards dictated and monitored by management. Okay, now that we have gotten the corporate stuff out of the way, let’s get down to brass tacks at the dispatch level. To ensure that the dispatcher maintains a diligent visual on maintaining company standards, it is necessary to monitor driver performance every day, by day. When the dispatcher starts his/her shift, the primary concern is getting the drivers out of the office and on their way to their first stop. Part of improving productivity is minimizing downtime, that time which does not contribute directly to pumping gallons into a customer’s tank. After the hustle and bustle of the early morning has subsided, it is important that someone scan the activity from yesterday’s input. Normally, these would-be deliveries from today -2 business days. Deliveries from Monday would be input to the system on Tuesday and available in BRITE first thing Wednesday morning. It is recommended that, along with the corporate summary widget as described above, the dispatcher should have an additional widget with the same settings, except selecting Last Delivery Date, meaning yesterday’s posting (normally). The point is to be able to see, in a controllable quantity, what might have happened that could challenge my month-end goals? What part of my process failed so I may adjust accordingly? Is this driver’s poor performance an anomaly or is it something I should be concerned about? This widget is the bottom line of what happened two days ago, and should be used to confirm success or failure, with immediate action taken accordingly. From this high-level widget, the dispatcher can now drill (expand) into the details to see what is bringing the MTD number of 404 down. One of the nice features available in BRITE is the ability to have unlimited instances of the same widget on the dashboard, all sporting different settings on the back, thus determining what the face of the widget and initial detailed report within will be reflecting. For example, if both products are being sold, the dispatcher will want to have a MTD and a Last Delivery Date Widget for Propane and Fuel Oil. You certainly do not want to mingle the performance numbers of these two unlike products together, as gallons per hour and gross margin per hour can be very different. Depending on the number of drivers one employs in their operation or perhaps if a dispatcher wants to watch the performance of one driver (non-performer or trainee), the settings on the widget allows the user to select just one driver per widget. This can get unwieldy if you have many drivers but who cares? If it makes the dispatcher happy and offers him/her the scan needed for maximum performance, let them go at it. They could even set up a dashboard for each driver or consolidate the MTD and Daily widgets for each driver on one dashboard, depending on the number. Don’t forget, the objective is to constantly segment your data to find either a business process or a person who might be challenging your achievement of the targeted numbers. An average may be good for many things such as trending or benchmarking but an average will also mask many inefficiencies. We could get away with this form of measurement in the past but we no longer can. There is much to uncover and “improve” on. TOPIC: WHAT IS YOUR COST PER SERVICE CALL? 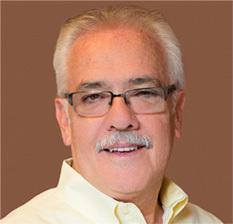 Bob Levins and Rashaan Baskerville will show you how to determine your cost per service call and what key areas of your business to focus on in order to improve it. *Blue represents the states of our new subscribers. 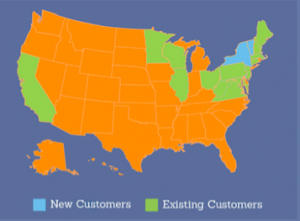 Green represents the states of our existing subscribers. So, what tool does the delivery department use to analyze their overall delivery efficiency? It’s named, the Delivery Performance Report. Unlike the Driver Performance, which is all about the driver, this report concentrates on all the deliveries by date and by customer, regardless of the driver. Along with the report viewer contained within, this report will allow the dispatcher to manipulate, filter, sort, sequence, regroup, etc. all the transactions within the date range selected. Whether it be a special project or simply following up on yesterday’s postings and subsequent adjustments, a dispatcher needs to have ownership of the data. This is the report that provides it. I would suggest that both a MTD widget as well as a Last Posting Date Widget of this report be displayed on the dashboard. Note: at the base of this widget, you will see two additional reports the delivery department may be very interested in. 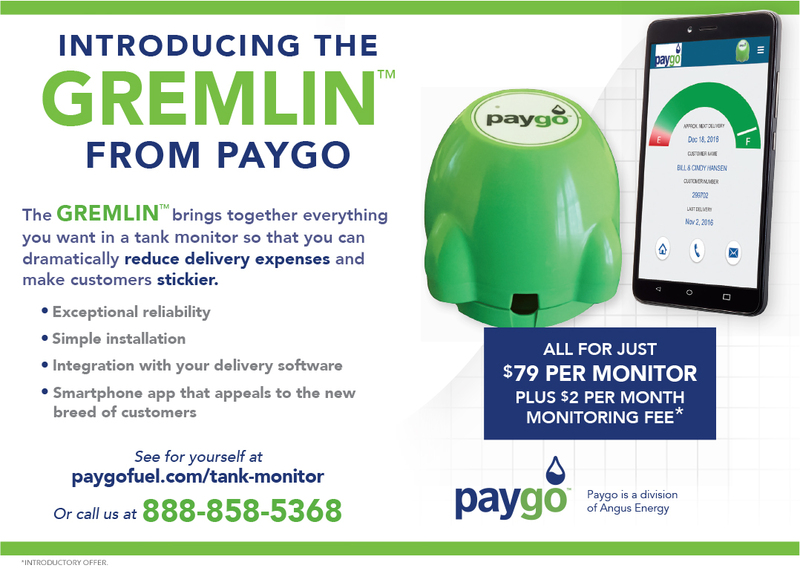 The Tank Utilization has already been converted into its very own widget, measuring the effectiveness of your propane tank sizing. The Delivery Efficiency Report is designed to illustrate the ideal drop accuracy of your delivery department over time (greater than 1 year). It shows the number of stops, average number of gallons/stop and average gallons/year. It then calculates how many potential stops could be saved if the customer’s tank was delivered equal to ideal gallons each time. This report is in the queue, elevating it to having its very own widget developed soon. Please do not ignore this telling report. It is quite often used for determining who might be a candidate for a tank monitor as well. Heating Degree Days – Using your degree day logs from your back-office system, BRITE displays the MTD accumulation and offers a drill-through to monthly summaries with comparison to your 3, 5 or 10-year average. Tank Utilization – designed to illustrate your success (or not) in properly sizing your propane tanks for customers. Dashboard 3 “Periodic” – Widgets not looked at everyday but important to review periodically If your company sells other products such as propane, the widget count should be increased, reflecting those products. You may choose to (or not) to consolidate them, all widgets on one dashboard, or separate them onto their own dashboards. Nothing is in stone and the user can play around with the set-up as much as they would like until pleased with their personal “scan” results. If you are deploying this information to staff for the first time, it is suggested that you DO NOT overload them with too much information to start. Keep it simple at first, allow them to absorb and fully understand the new approach and then grow from there. We would always prefer to see improvement over time so take a shot at setting yourself some conservative goals moving forward. Review last year’s performance by changing the date parameters within the driver performance report to see what your team has historically been capable of and then begin to push the envelope. Present the challenge, “Historically at 404gph for January, I would like to see if we could get our performance up by 36 gallons, to 450gph.” Everyone likes a challenge. Using BRITE as a tool, they actually might surprise you! In our most recent BRITE webinar, “What is your cost per delivery?”, we highlighted the importance of managing delivery efficiency by gaining a better understanding of your actual cost per delivery. 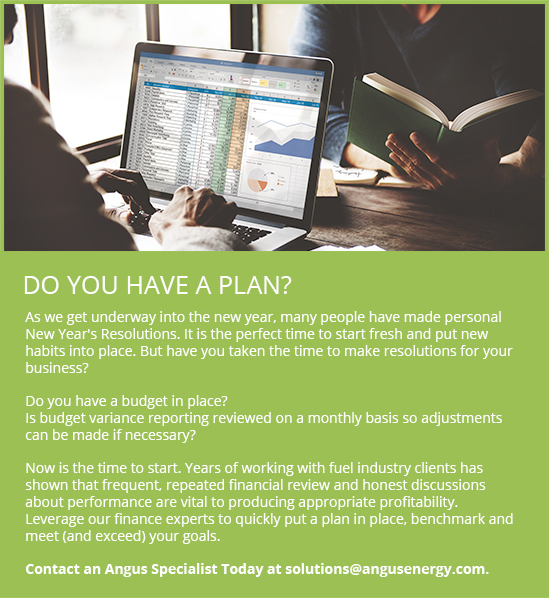 Only by understanding your actual cost can you begin to make changes to improve efficiency and thereby increase profitability. 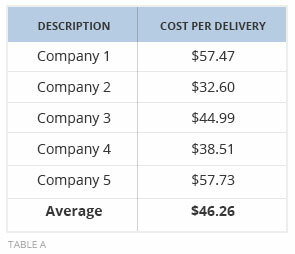 Table A below shows a snapshot of 2016 YTD cost per delivery for some actual companies; however, it is important to keep in mind that your cost per delivery will fluctuate throughout the year based upon seasonality. Therefore, this is a metric that you will want to track on a monthly or quarterly basis to ensure that you are able to effectively track and manage the cost trend. Table B below shows the impact of a 5% annual savings in cost per delivery – as you can see, even a 5% annual savings can add up to a significant benefit over time. How much can you save per year on your cost per delivery? For assistance in calculating your cost per delivery, please contact Rashaan Baskerville at 860.658.4471.